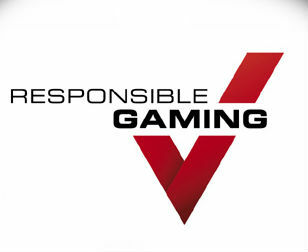 The term “responsible gaming” refers to both sides of the gambling experience – the casino or service provider, and the player. This term is widely used and can mean very different things so we thought it would be useful to outline some of the important facts about responsible gaming. After all, gambling can lead to adverse effects if it becomes problematic and since we’re all about positive online gaming experiences, we want to help prevent that from happening. It’s important to remember that the more you know, the better off you are. This applies to both protecting yourself from unlawful casino services and to monitoring your gaming behavior. In both cases, there are solutions available as well as professional assistance should you need it. With any business transaction or large purchase, it’s always good to know at least something about who you’re giving your money to. The same principle applies to online casinos. Luckily you don’t have to become an investigative reporter to get this kind of information. In fact, that’s one of the reasons we’re here! Who Monitors Online Casinos in Canada? There are actually quite a few organizations that monitor online casino activity in Canada. These organizations vary depending on where the casino is based as they each have their own jurisdictions. Since a lot of the casinos that are open to Canadian players are essentially European businesses, a lot of them are monitored by eCOGRA. We will use eCOGRA as an example here, but most of the regulating bodies work in a similar fashion. The acronym eCOGRA stands for “E-commerce and Online Gaming Regulation and Assurance”. For an online casino to receive the approval of eCOGRA, it will have to abide by certain rules and be open to auditing by eCOGRA. eCOGRA will typically check things like how fair the software is; how easy it is to make withdrawals; the security of players’ records; and how truthful the advertising and marketing is. All aspects of the casino’s activity will be carefully checked and if anything seems unfair or illegal, the casino will have to make changes to the way it operates. If the casino fails to do so, it will lose its license. Organizations like eCOGRA aren’t one-time evaluators. They constantly supervise the activity of the casinos they are monitoring and may threaten to suspend or revoke a casino’s license at any point. If you come across a casino certified by a monitoring body that you haven’t heard of, just Google it. All authorized organizations will have official websites and information about their activity. Some problematic online casinos have been known to create fake seals of approval so be aware. A rogue casino is exactly the type of establishment we’ve been warning you about. Rogue online casinos don’t adhere to any regulations and are not audited by external organizations. This means that they can behave as they see fit which will obviously not be in the players’ favor. Don’t worry too much though. Protecting yourself from rogue casinos just means making sure they are certified by an official licensing body. We also recommend that you always read the terms and conditions of any casino (even those that are officially authorized) so that you know exactly how it operates and what your rights are. Online gaming can be a lot of fun and the lucky players amongst us even make a lot of money by playing online. Still, gambling can lead to addiction and that’s never a good thing. Gambling addiction can affect your life in very adverse ways from your living conditions to your mental and even physical health. While online gaming has allowed us to enjoy gambling of many kinds from the comfort of our own homes or even when we’re on the move, it also makes it harder to deal with addiction. This is because problem gamblers can hide their addiction from family and friends by playing discreetly. All the above organizations have phone lines that are open 24/7 and are completely free. Consultations are also kept absolutely confidential. Keep in mind that you can also reach out to counselors in your community. If you feel you need to take a step in asking for assistance, do whatever feels comfortable. 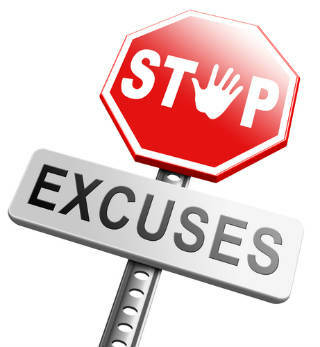 The important thing is that you take that step towards dealing with the problem. If you’re looking to have a good time by playing casino games, poker, or trying your luck at the lottery, there’s no reason to be alarmed. Just be aware of the risks involved. Make sure you’re playing at casinos that are authorized and never give out more personal information than is necessary. If you have the slightest concern that your playing is becoming a problem, don’t hesitate to contact any of the organizations listed above. Speaking to a friend or family member is also a great way to seek help. Gambling doesn’t have to be a problem and solutions are readily available so protect yourself and have fun!